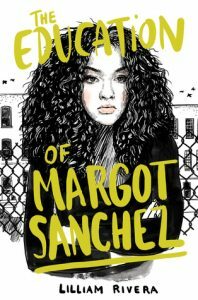 Pushcart Prize-winning author whose first novel, The Education of Margot Sanchez (Spring 2017) was acquired by Simon & Schuster in a two-book deal. 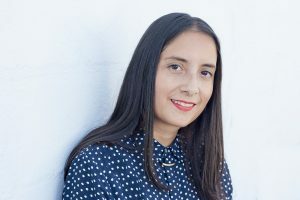 Ms. Rivera’s work has appeared in Latina, Los Angeles Times, Cosmopolitan, Tin House, Bellevue Literary Review, The Rumpus, and Los Angeles Review of Books, among others. She is a Contributing Editor at Black Hill Press and former Emerging Voices Fellow at PEN Center USA. When writing young adult novels, the goal is always to capture that authentic young voice. I believe that everyone who is dedicated can do that because the story fully lives within each person. Through draft after draft, the writer digs deeper to the essence. The excitement can be found in exploring the character’s journey, in allowing that authentic young voice to guide you. My aim as a teacher is to cultivate that journey. Above all else, I want to create a supportive environment where students read and critique each other’s work, learn to critically look at published work from young adult authors, and explore different forms through writing. Whether our protagonist is battling dragons or their parent’s curfew, I want to encourage students with thoughtful discussion so that we can leave the room energized to continue the creative work on the page.